Step right up and browse through our wide collection of cleaning machine spare parts that will fit whatever machine accessories that you need. You can add new functionality to your scrubber dryers, vacuum cleaners, and all sorts of cleaning machine and keep it performing well with our parts and accessories. From vacuum bags, parts, and accessories to extension leads, power boards, and RCD, you'll find everything you need. Not only that, you will also find a complete range of wind on power boards, thermal cut out RCD switch, rubber power leas, and various parts for specific machine brands. These parts and accessories will offer your machines sturdy support and will keep your cleaning tools good as new. Nilfisk, Polivac, Karcher, Cleanstar, Hako, Numatic, Taski, Vacspare, Eurostar, Multiwash, PacVac, and Windsor. Surely you'll find what you need in that diverse list of trusted and quality brands. We also have a vast collection of vacuum bags, parts, and accessories. From vacuum floor tools and vacuum cleaner nozzles to vacuum cleaner battery and charger, you will be able to fix your cleaning machine and get them to work again in no time. 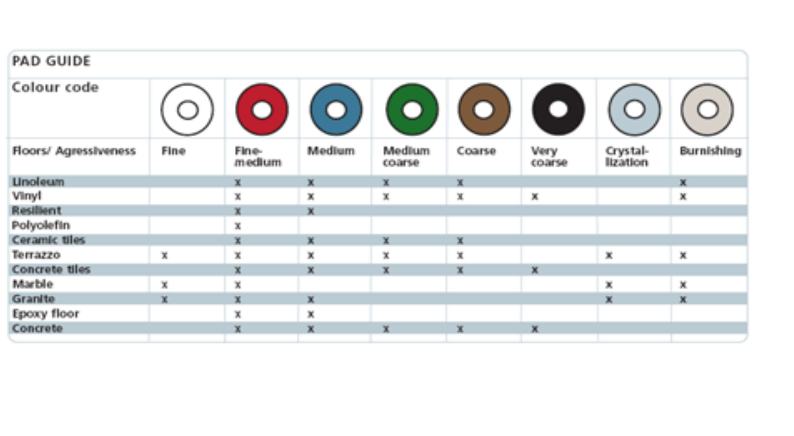 We also have cylindrical and disc brush guides for you to determine which brush to use for your scrubber dryers and other cleaning machines. 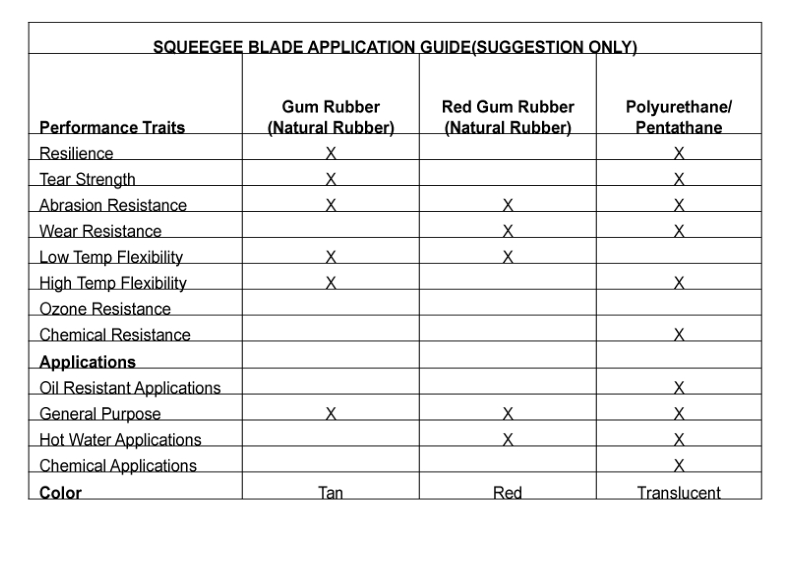 Aside from that, you can also refer to our squeegee guide, and pad guide for your preference. 10amp lead, 18 metres in length. 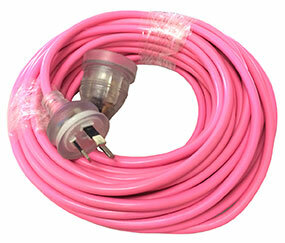 * donate $1 from every Pink Extension Lead sold. Are you having trouble in determining what brush to use? 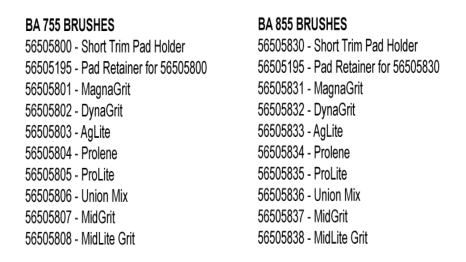 We provide brushes and pad holder that will give you the best possible performance and floor. 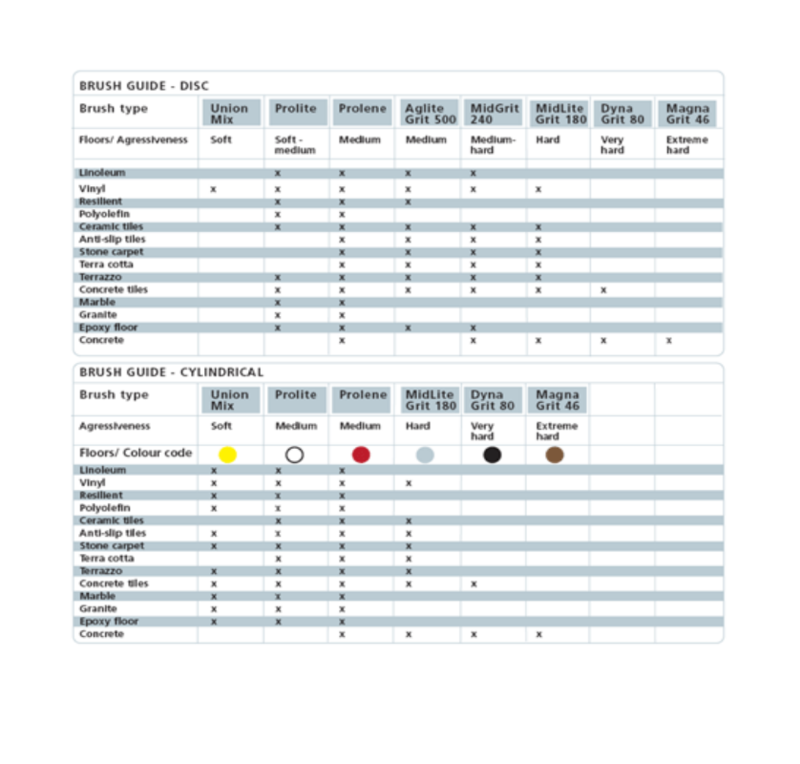 The following shows the descriptions of the materials and their applications. Union Mix: Medium Grade natural fibers for polishing finished floors with standard-speed equipment. It is recommended for use in place of white pads. ProLite: Bristles are made from light-duty polypropylene for general scrubbing when you do not want to scratch or remove finish from the floor. It is recommended for use place of red pads. Magna Rit: For extreme heavy-duty scrubbing or stripping floors. This brush has extra large diameter silicon carbide grit impregnated synthetic bristles. It is recommended for use in place of black pads. Dyna Grit: For aggressive, heavy-duty scrubbing or stripping floors. It is recommended for use in place of brown pads. Midlite Grit: For general purpose scrubbing of sealed or unsealed concrete, stone, terrazzo, quarry tile and other resilient hard floor surfaces. It is recommended for use in place of green or blue pads. MidGrit: For general purpose scrubbing when you need a lighter action for sealed or unsealed concrete, stone, terrazzo, quarry tile and other resilient hard floor surfaces. It is recommended for use in place of green or blue pads. AgLite Grit: For light scrubbing when used wet; buffing or polishing when used dry on urethane coated, sealed concrete or other resilient hard surface floors. It is recommended for use in place of red or white pads. Short Trim Pad Holder: Made with a structural foam block and center ring for correct pad centering. It has a "shower feed" design for getting solution to the floor. We provide brushes and pad holders that will you the best possible performance between machine and floor. Following are descriptions of the materials and their applications. 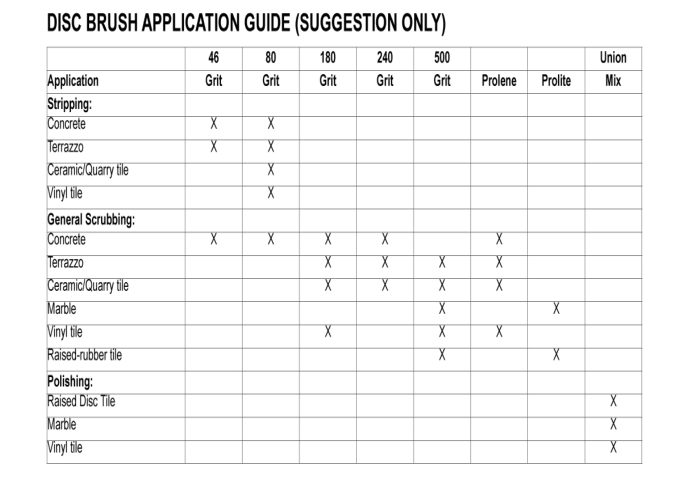 46 Grit Brush: Most aggressive grit brush. It is used primarily to clean heavily buildup on concrete floors in factories, or for heavy stripping of finish. 80 Grit Brush: Medium aggressive grit brush. Good all-around brush for medium to heavy buildup removal. Can also be used for general stripping operations. 180 Grit Brush: Least aggressive grit brush. Used for daily cleaning of hard-finished floors. 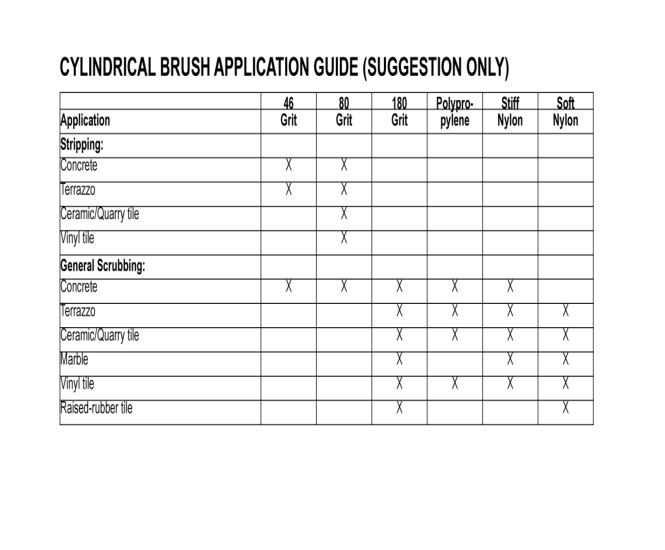 Polypropylene Brush: Standard equipment brush. Low cost, yet effective in cleaning many common floor surfaces. Stiff nylon Brush: Cleaning action similar to polypropylene. More durable and wear-resistant than polypropylene. Soft Nylon Brush: Least Aggressive brush available. Used on soft-finish floors where a more aggressive brush would leave scratch Marks, or in applications requiring very light cleaning. Gum Rubber: Provides superior wiping action on tile, terrazzo, and polished floors. Red Gum Rubber: Provides longest life on finished or unfinished concrete floors. Polyurethane: Oil resistance provides superior life in applications with oily floors.